Here is the last scene of the movie, with Zorba teaching how to dance. Since ancient times and in all cultures dance has been used for releasing grievances and connecting with deeper aspects of our nature. The mystery, esoteric and shamanic traditions were well aware that frequency vibration is the primary underlying force in the manifested universe. Hence they developed specific dances, chants and sounds to expand beyond the limits of the ordinary self and explore multidimensional realms. Dance and sound are the most ancient forms of language and the main methods of communication with alternative realities. They are also channels through which we can best convey our authentic nature and express ourselves beyond the restrictions of conventional languages and behaviours. 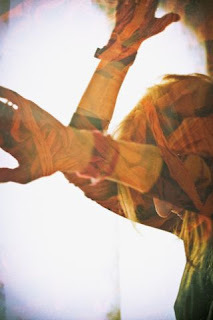 Passionate dancers are aware that there is a deeper intelligence abiding much beyond our ordinary mind. This intelligence is what ultimately creates the dance and the physical body is capable of connecting directly with it, bypassing the conditioning of our consensus mind. The body can spontaneously align with its multidimensional nature and also move accordingly. The conditioned mind may continue to indulge with its narrow ideas, yet the body, if allowed to do so, cannot help responding to its profound matrix. When this is the case, major healing shifts can occur in the environment and the people involved in the dance. A mysterious, yet familiar, power is unleashed and transformation inevitably follows. From the astroshamanic perspective all life is a dance and since there are several aspects s of life there are also many varieties of dance. There is a dance for each zodiac sign, and there is also a dance for each combination of signs, including triads and larger groupings, making patterns of dance virtually infinite. There is a dance for every feature of life, which also includes all the features of death. Each living being dances a specific rhythm, which may change in the course of one day, month or year, or following a connection with other dancers and rhythms. Every time we wake up and start our day, we also begin to dance with other living beings. Some of them may be moved by thhe same music, others will dance to a different rhythm. We may meet ideal dance partners, while other dancers may present challenges, or teach us new steps, while we also teach ours. 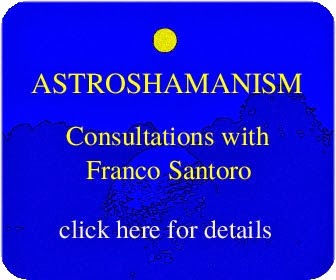 Astroshamanic Trance Dance is a holistic system of healing based on rhythm and movement, the result of the integration of dance, music, energy work, shamanism and astrology. Its aim is acknowledging, retrieving and integrating the lost pieces of our soul as they are astroshamanically represented by the 12 zodiac signs. Each sign has its own vibratory frequency and through dance we can align to its modalities of expression and incorporate them in our awareness. With astroshamanic trance dance we open to profound archetypal forces allied to stars, planets, animals, plants, minerals, spirits and whatever exists around and within us. By physically dancing and playing these forces, we reactivate the memory of our ancient communion with them, embracing their rhythm and experiencing their healing energies. 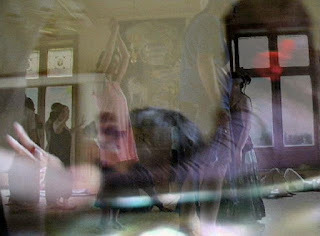 Each living being dances a specific rhythm, which may change in the course of one day, month or year, or following a connection with other dancers and rhythms. Every time we wake up and start our day, we also begin to dance with other living beings. Some of them may be moved by the same music, others will dance to a different rhythm. We may meet ideal dance partners, while other dancers may present challenges, or teach us new steps, while we also teach ours. Astroshamanic trance dance also works as a superb practice for releasing blocks and grievances, which can be identified by the patterns of astrological aspects and transits. The dancers let go of emotions, feelings and thoughts through physical movement, releasing whatever they experience in that particular moment (excitement, vitality, pain, weakness, restlessness, sexual energy, craziness, etc.) until they reach a space of inner void and stillness. This is the sole environment that allows them to truly receive. 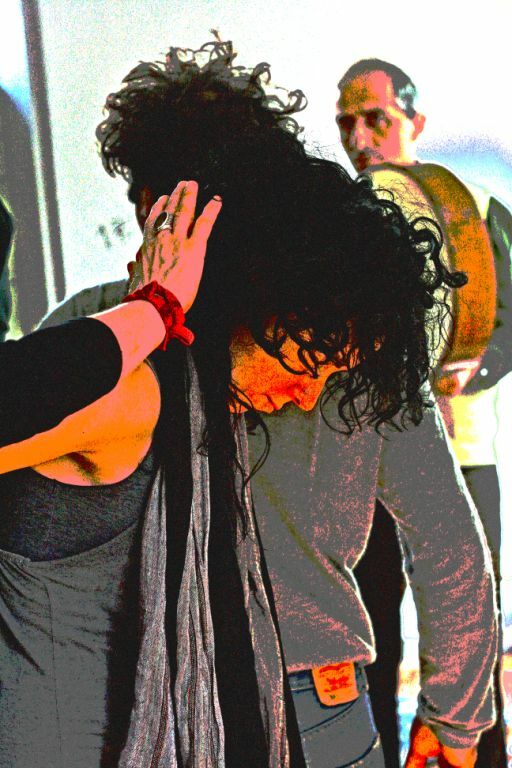 Having relinquished what is in excess, dancers are ready to receive vital gifts for healing and transformation. I love your videos, especially the freestyle dancing, or the trance dancing. I myself have been doing this for years, but have never done it with a group. One day I will join a group, but for now I am very content being a solo dancer!